When house hunting, 90% of buyers use the Internet. In fact, 53% of buyers start their search online, according to “The Digital House Hunt,” an extensive report on real estate consumer trends conducted by Google and the National Association of Realtors. More than ever, people head online when it comes to looking for homes and finding Realtors®. Between 2008 and 2012, real estate-related searches increased by 253%. With so much opportunity online, realtors can’t afford to miss out on this valuable traffic; for professionals in real estate, SEO is more important than ever. When it comes to capturing traffic for terms related to real estate, SEO efforts begin with local keyword targets on a personal website. “You have to carve out a niche for yourself — think locally, and then expand,” said Robert Ramirez, a senior SEO Analyst who has managed real estate SEO for agents at Sotheby’s and Century 21. Read on to discover how you can leverage a real estate website to capture traffic (and leads). “Most realtors service multiple cities and regions. However, when you start your website, focus on the main city you do business in first. From there, build out silos that target other areas,” Ramirez said. Throughout these pages, incorporate the local keyword targets, working them into content that is useful to a prospective home buyer. The more targeted a real estate website can be, the better. As for the content itself, come up with 200 words of unique content describing the home’s features in addition to the standard description — and in this case, you don’t have to worry about duplicate content. 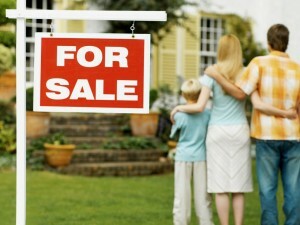 “Google expects to see those descriptions of homes appear across the web. You won’t be penalized for including standard listing information. However, if you want to rank for the address as a keyword, you’ll have to include unique content, as well,” Ramirez explained. Photos and videos are key engagement objects on all websites, but this is especially true of a real estate site. Home buyers love seeing a video tour of the inside of their prospective new homes. In addition to video tours, consider capturing testimonials on video, too. “Whenever you sell a home, get a testimonial. If you have a video camera, a steady hand and good lighting, try to get that testimonial recorded on the spot. A home buyer is ecstatic right after getting their keys. That’s a great time to ask,” said Ramirez. An Australian real estate group reported seeing 403% more inquiries for listings with video than those without video, and studies have shown adding a video to a page triples the amount of inbound link. 89% of new home shoppers search using a mobile device during the home buying process. A 300% growth of real estate broker-related searches on tablets year over year. Foreclosure searches have risen 180% year over year on mobile devices. With these statistics in mind, it’s clear that making your website mobile is an important factor in real estate SEO. We recommend using responsive design, which is Google’s preferred mobile configuration. Zillow alone had 498 million page views in January 2014 and Trulia had 277 million. There’s a lot of potential traffic to be captured by getting listed in the right real estate directory. If you’re a realtor working with an agency, your brokerage house more than likely hosts a web page for each realtor. While it is unlikely that this sub-domain can rank for a local keyword target, this is a great page to optimize for your name. In addition to ranking for your name, you can also use the bio page to provide contact information and link to your personal website. When it comes to client relations, social media is a great way to start relationships or strengthen existing ones. A realtor with an active social media presence is able interact with clients where they are everyday: Facebook, Twitter, Google+, Pinterest and/or Instagram. “Real estate is all about relationships — obviously any record you can build on social media that shows your expertise is important. When people vet you and discover a healthy, professional social media presence, it’s going to signal trust,” said Ramirez. Because photos and videos are key components in real estate sales, Pinterest and Instagram are particularly useful platforms for realtors. On Facebook, consider joining location-based groups and on Google+, get active in local communities. Across all platforms, use social media strategically, employing hashtags like #realestate or #listing.